The agency was established in April 2012 by Elena Gromnytska. The first global project of agency was participation in organizing and holding the World Newspaper Congress in Ukraine and ensuring all necessary PR and GR communication. protected business reputation of 23 Ukrainian leading statesmen and large business representatives. Our agency has created and successfully realized the media socio-political project, named «Realist.online». Graduated from History Dept and post-graduate degree in constitutional law of National Pedagogical Dragomanov University. Worked as a press-secretary to the President of Ukraine Leonid Kuchma in 2002-2005. Held positions of Editor-in-Chief of «Profile-Ukraine» newsmagazine, vice-president of «Glavred-Media» holding, Chief Executive Officer and Editor in Chief of «Segodnya Multimedia». 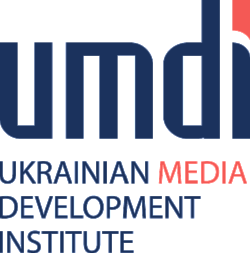 Since 2012 is the founder of «Ukrainian Media Development Institute» (UMDI) consulting agency. Honored journalist of Ukraine, been awarded the III Class Order of Princess Olha. companies. Joined the UMDI team in April 2015. Graduated from Philology Faculty of the National Pedagogical University. Нas an MBA Degree from the International Management Institute (MIM-Kyiv). From 1998 till 2017 worked as Sales Director and Head of Commercial Department at Segodnya Multimedia and Ukrainian Media Holding. Her expertise lays in the sphere of forming effective sales teams: print and digital; as well as implementation of management tools for commercial units aimed at fulfilling the necessary targets and building long-term relationships with partners and clients. Graduated from Shevchenko National University, has a master's degree in journalism. For more than 10 years, has been working in the PR and media' field in public, commercial, community and charitable organizations. Journalist, editor, event manager, media coordinator. Has experience in creation and launch of turn-key information campaigns, television programs, documentary and promotional films, special projects. Has 15 years' experience in public service, public organizations and analytical centers. Worked with creation and implementation of election campaigns. Graduated from Sumy Pedagogical University, faculty of Foreign Languages. Has 20 years' experience in the field of journalism and TV production, both in Ukraine and abroad. Creative producer, scriptwriter, editor, journalist. Co-author of game, documentary and feature films: "Fuzzy boy", "In the zenith", "Naive Odyssey: round trip", "Build a city", "5baksiv.net", etc. Member of the Independent Media Trade Union of Ukraine. Graduated from Ukrainian Academy of Printing in Lviv. Production Automation Engineer. For more than 20 years has been working in the largest media companies in Ukraine. Professional competence: establishment of a distribution network, logistics planning and distribution, development of new markets, sales management, marketing and promotion of printed products. Studied at Lviv State Franko University, faculty of Journalism. Has held leading editorial positions in various top editions of Ukraine (newspaper "Levyi Bereg", "Profil" magazine, "Grani Plus" weekly, etc.) Has experience in PR services for state bodies and international organizations (Ministry of Health of Ukraine, Amnesty International). Practicing trainer of the EU program "Women and children rights in Ukraine: communication component"
Is an award-winning journalist, documentarian, and pro-democracy advocate. Her work has appeared in numerous Ukrainian publications and broadcast networks for 20 years. She covered the most recent "Euromaidan" revolution as well as the war in Ukraine's east. For 3 years she was Head of Communication Reanimation Package of Reforms (biggest coalition prominent Ukrainian NGOs). Iryna has a programs with Hromadske (Public) radio in Ukraine. Graduated from the faculty of Accounting and Auditing, Tashkent State University of Economics. More than 20 years' experience in accounting, during which worked as a chief accountant, assisted in carrying out audits, followed by drawing up audit reports, provided consulting services in the field of accounting. Studied at the National University of Food Technologies, faculty - Management. Participated in many political campaigns as responsible for Internet promotion. Financial and political journalist with more than 15 years of experience. Ex-editor of "Economic Pravda", part of the "Ukrainska Pravda". Co-founder of Realist.online. The owner and founder of the political edition – "Politicus Vulgaris". Has thousands of publications in the largest media of Ukraine, repeatedly awarded with professional honors and awards, professional book writer. Lecturer of the Journalism' Institute at Shevchenko National University. Author of the technique of forming a unique author's style in writing. Has degree in IT. More than 20 years' experience in design. Started his career in "Teletyzden" startup in Kharkiv. At various times, participated in the launch of many Ukrainian editions, including "Focus", "Football", "Liza", "Leisure", "Wheel of Life" and others. Has profound experience in layout of complex projects, presentations, and infographics. Engaged in the programming of mobile platforms, cloud services and other web technologies. Has 20 years' experience in the field of international journalism At different times worked on TV channels: STB, "1 + 1", "Novyj kanal", Inter. Online edition - Realist.online. Issuing editor of the Kyiv-live program on TV channel "Kyiv". The author of TV programs and reports from many countries around the world: Germany, Scotland, the Netherlands, Czech Republic, Slovakia, Bosnia and Herzegovina, Lithuania. In her portfolio, exclusive interviews with well-known personalities: cinema operator, Oscar-bearer - Ryshard Lenchevsky, traveler - twice the record holder of the Guinness Book of Records - Theodore Rezvim, American financier - George Soros. Permanent participant in foreign training programs and programs for journalists. necessary knowledge and skills to cope with issues of any complexity. maintaining communication with representatives of high authorities, understanding the logic and mechanisms of decision-making. effective techniques of protecting business reputation.